If you consider yourself a major wine enthusiast, where you're going to store your wine collection may play a major role in the design you choose for your custom home. And if you're just a casual enthusiast, you may like the idea of having a nice area to store your wine. Because there are all sorts of quality options for storing wine, we're going to look at a variety that span the spectrum of enthusiasts. 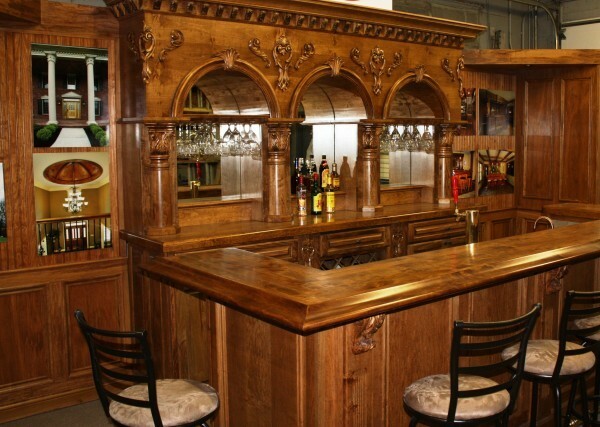 If you only wanted a couple of bottles of wine on hand, putting them in a kitchen cabinet would probably work. But if you plan on accumulating even a small collection, it makes sense to have a nice place to store and showcase them. For this size of collection, a wine closet is the perfect solution. With a wine closet, you get plenty of space to store many bottles of wine. However, the closet itself won't take up much space in your house. Another advantage of this option is you can put it in an area of your home where any guests you have over will be able to enjoy seeing your bottles. Additionally, a closet can be designed so it has the same temperature control as a larger cellar. For a major wine enthusiast, there's simply no substitute for a complete wine cellar. One thing to clarify about this type of cellar is it's anything but dark and damp. On the contrary, not only is it an attractive and secure way to store wine, but you can add accessories like tables and chairs so you can actually bring guests to this room to enjoy trying one or more amazing wines from your collection. In addition to either a wine closet or cellar, the other area you'll probably want to plan for in your home is a small wine cooler in your kitchen. This will allow you to keep any bottles you plan on serving in the near future in a convenient location. And if you like serving your wine on the slightly colder side, this will make it simple to get them a few degrees colder than you'd keep them at for long-term storage. In terms of placement, you should either be able to put the cooler in a kitchen island or in one of the walls. Keep in mind that if you're more of a scotch connoisseur than a wine person, having a custom home built means that you can dedicate a room to this interest. You'll have plenty of space for comfortable seating, bottle storage and possibly a table for playing cards. Just remember that if you think you may also want to smoke cigars in this room, be sure your design includes a smoke vent so you won't have to worry about your significant other getting annoyed because the smell of cigars is still around long after you put them out.